The first ever Female Leadership day, presented by Ontario Soccer and Brams United, was a massive success that brought together female Match Officials, Administrators, Executive Members, District Members, Coaches, Players and Volunteers from all over the community. The event was headlined by Nancy J. Spotton, the CEO of MPWR and one of the 2019 Ontario Soccer Summit keynote speakers, who energized the crowd with her interactive and inspiring talk on empowering yourself and your brand in the sport of soccer. 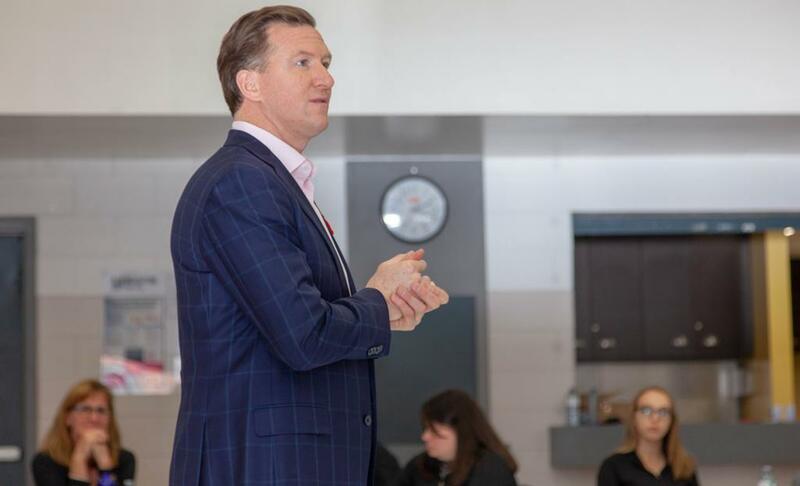 Steven Caldwell, the well-known TSN analyst and former Toronto FC captain, was also a marquee speaker at the full house event, where he shared his personal perspective on how to build leadership skills from a player and business perspective. "I was so proud to sit back and watch Nancy and Steven work their magic on the room," said Nicky Pearson, Ontario Soccer's Manager of Match Official Development. "We had attendees as young as 12 and veterans who have been in the community for 65 years. We saw coaches, players, administrators and even some non-soccer people.They all stepped out of their comfort zone and challenged the norm to help to find value in their own personal brands"
Event co-hosts, Brams United, also expressed their pride in seeing the important and inclusive event take off in such a successful way. "As one of the only all-female Clubs in Ontario, it was an honour to host the first Female Leadership Day, providing females of all ages and backgrounds a platform to learn and grow as future leaders.." said Melanie Bradley, Brams United's General Manager. "This event inspired and motivated several women. I look forward to more events providing these opportunities and guidance to our future leaders, and can’t wait to learn more from Nancy at the 2019 Soccer Summit."